25 Piece Light Stick Family Pack | BUDK.com - Knives & Swords At The Lowest Prices! 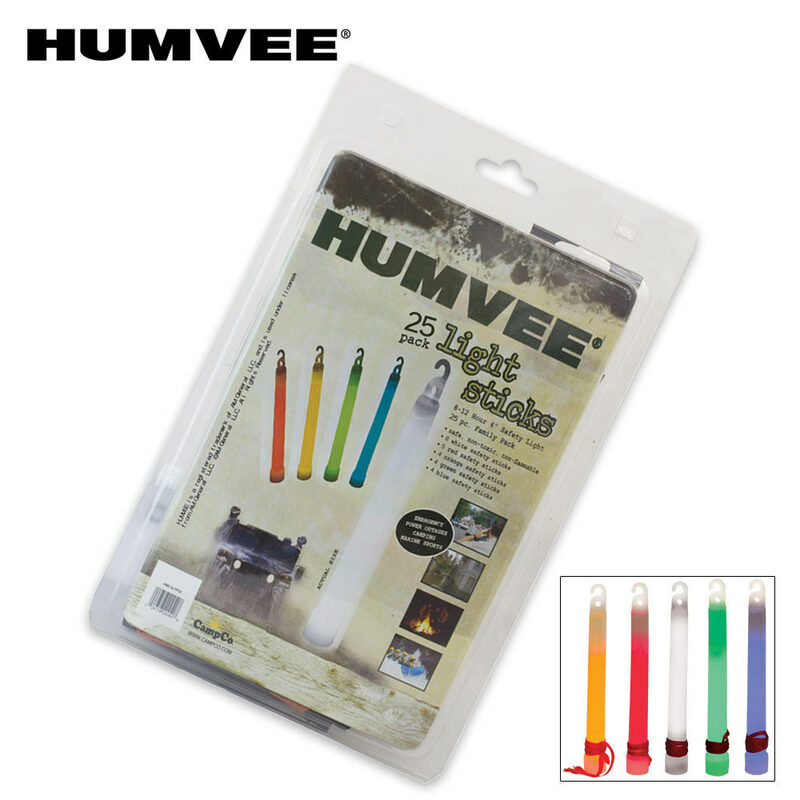 Perfect for camping, outdoors, marine use or simply to have in case of power outages or emergencies, this family pack of 25 light sticks is a must-have! They feature a non-toxic, non-flammable and weatherproof design perfect for a variety of purposes.